Worlds of Wonder is an amusement park located in sector 38A near sector 18 of Noida in NCR, Delhi. Park also has a newly added water park and offers rides for kids and adults. 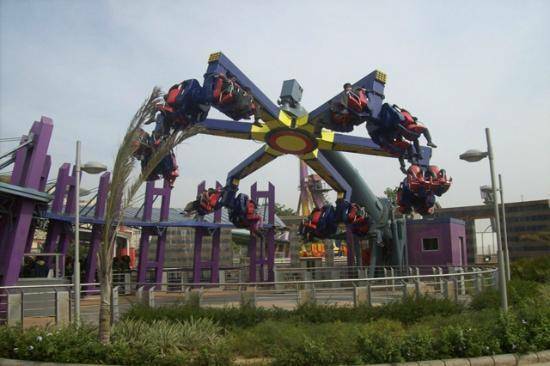 The park has two sections, ‘La Fiesta’ and ‘Road Show’ each offering rides and music & entertainment respectively. Worlds of Wonder has many options for food here as well. Park is run by Unitech Holdings Ltd. and International Amusement Limited (IAL) which was also the owner of ‘Appu Ghar’ , once had been a famous amusement park in Delhi. This amusement park spread over 147.48 acres of land was opened in 2007. Worlds of Wonder consists of many activities including Go Karting, Water Park, WOW Lake, Arrival Village, Amusement Park for Teen Zone and Amusement Park for Family and Children’s Zone. The ticket price varies from Rs. 450 to Rs. 950 depending options chosen and day of the week.